Del Frisco’s Grille in New York is in the heart of the Rockefeller Center restaurants, near Radio City Music Hall and Times Square. 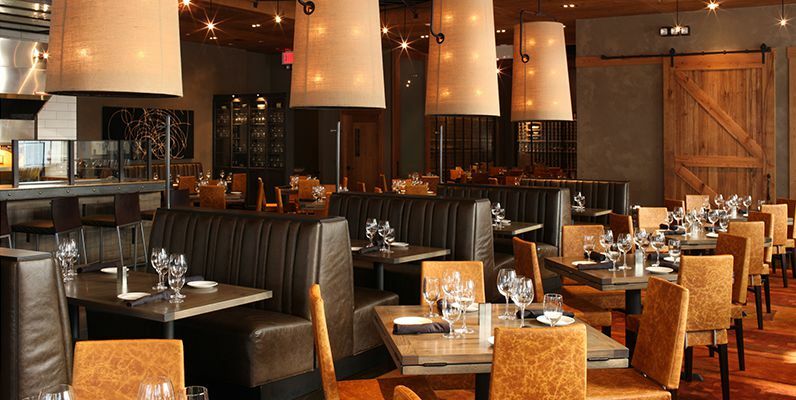 This unique American grill features a sweeping bar with a wood-burning oven, expansive walls showcasing over 700 bottles of wine and a sprawling patio perfect for al fresco dining. * Our bar buzzes with the energy of the after-work scene, while the dining room provides the perfect setting for guests looking to escape from the rush of the city.